Only a third of women would see a doctor when they experience a major symptom of ovarian cancer, according to the charity Target Ovarian Cancer. When faced with persistent bloating, 34% of 1,142 women questioned by YouGov said they would visit their GP. Half said they would change their diet by doing things like cutting out gluten or eating probiotic yoghurts. The charity is concerned about the “alarmingly low rate of awareness” of bloating as a symptom of cancer. Previous research by the charity has shown that only one in five women could name it as a symptom. The survey spoke to women across the UK and asked what they would do if they were “bloated regularly”. Those polled were allowed to chose more than one option but only 392 said they would book an appointment with their GP. 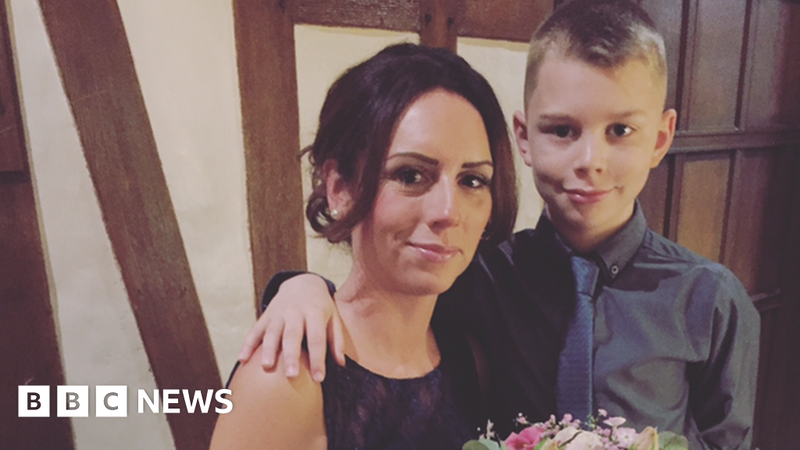 Laura Everley, who is 38, and from Crawley, was diagnosed with ovarian cancer in 2014. Before she was diagnosed she said she was experiencing all of the symptoms of ovarian cancer, including bloating. “I thought that maybe I might have irritable bowel syndrome because there are similar symptoms. She has now finished treatment and is doing well. Laura Everley captured an image of her bloated stomach on her camera phone – she has now finished treatment and is doing well. NHS England advice is that anyone who has been feeling bloated most days for the last three weeks should tell their doctor. Bloating may be caused by other conditions, such as irritable bowel syndrome and pre-menstrual syndrome, but if it is persistent and doesn’t come and go it should be checked out. The disease is more likely to develop in women over 55, but the charity found this age group was the least likely to check symptoms online, so the least likely to educate themselves that it could be ovarian cancer. In the 18-24 age group 64% said they would do an online search. The charity said the lack of awareness meant women did not get sent for the correct ovarian cancer tests quickly, so they risked missing out on crucial early diagnosis. Two-thirds of women in the UK with ovarian cancer are only diagnosed once the disease has already spread, making it harder to treat. Eleven women die every day from the condition. Annwen Jones, chief executive of Target Ovarian Cancer, said: “A probiotic yoghurt should not be preventing a woman from visiting the GP promptly if something is worrying her.